Selangor, 8 April 2012 – Hong Leong Yamaha Motor (HLYM) is set to assist in the development of grassroots football amongst young Malaysians and to help raise the standards of football in the country with its recent involvement as the title sponsor for the inaugural LIGA 1MCC Hong Leong Yamaha 2012 Football League organized by 1 Malaysia Cardiff City Football Academy Sdn. Bhd. 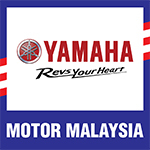 “HLYM has taken great strides in its pursuit of social responsibility programmes for the betterment of the community and our latest initiative is another step towards its contribution to society,” said Mr.Leong King Choon, General Manager, Sales & Marketing at the opening ceremony of LIGA 1MCC Hong Leong Yamaha 2012 Football League which was officiated by Prime Minister, YAB Datuk Seri Najib Tun Razak and Dato’ Chan Tien Ghee, Chairman of 1MCC. 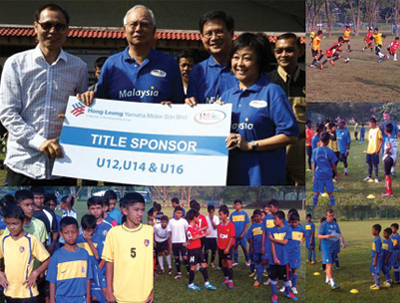 The LIGA 1MCC Hong Leong Yamaha 2012 Football League consists of three categories, Under-12s, Under-14s and Under-16s. The Under-12 category is currently underway and the Under-14 category will start in May 2012 while the Under-16 category will commence in October 2012. A selection of the best players from the Under-12 category will represent Malaysia in the 4th Yamaha Asean Football Cup (AFC) Under-13 Tournament to be hosted by HLYM with competing teams coming from Thailand, Indonesia, Vietnam and India. The Yamaha AFC Under-13 Tournament will commence in July 2012.